Revealing the breadth of F. Scott Fitzgerald's gift for the short story form, this Penguin Classics edition of The Case of Benjamin Button and Six Other Stories spans multiple genres and styles to dazzling effect. Full grown with a long, smoke-coloured beard, requiring the services of a cane and fonder of cigars than warm milk, Benjamin Button is a very curious baby indeed. And, as Benjamin becomes increasingly youthful with the passing years, his family wonders why he persists in the embarrassing folly of living in reverse. In this imaginative fable of ageing and the other stories collected here - including 'The Cut-Glass Bowl' in which an ill-meant gift haunts a family's misfortunes, 'The Four Fists' where a man's life shaped by a series of punches to his face, and the revelry, mobs and anguish of 'May Day' - F. Scott Fitzgerald displays his unmatched gift as a writer of short stories. 'The Curious Case of Benjamin Button', originally published in 1922, was made into a major motion picture directed by David Fincher and starring Brad Pitt, Cate Blanchett and Tilda Swinton. F. Scott Fitzgerald (1896-1940) has acquired a mythical status in American literary history, and his masterwork The Great Gatsby is considered by many to be the 'great American novel'. In 1920 he married Zelda Sayre, dubbed 'the first American Flapper', and their traumatic marriage and Zelda's gradual descent into insanity became the leading influence on his writing. As well as many short stories, Fitzgerald wrote five novels This Side of Paradise, The Great Gatsby, The Beautiful and the Damned, Tender is the Night and, incomplete at the time of his death, The Last Tycoon. After his death The New York Times said of him that 'in fact and in the literary sense he created a "generation" '. 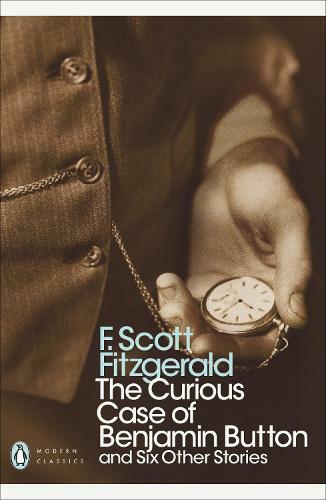 If you enjoyed The Curious Case of Benjamin Button, you might like Fitzgerald's The Great Gatsby, also available in Penguin Classics. I loved this book of short stories. They were all so different but so clever. Highly recommended to anyone!